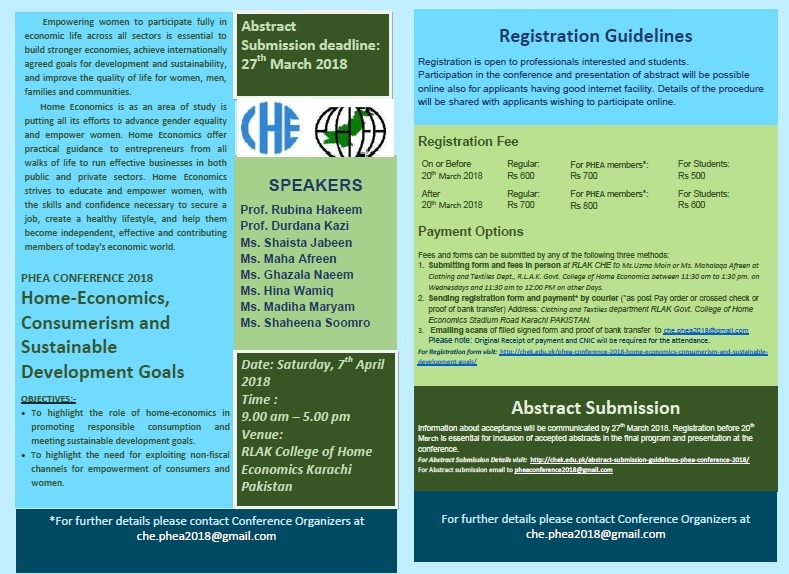 Authors who wish to present in PHEA conference 2018 are cordially invited to submit abstracts on topics related. All submitted text will be reviewed by the scientific committee and may be accepted for poster presentation. Deadline: of abstract submission: 20 March, 2018. Notification of abstract acceptance: 27 March, 2018. Following format should be used. Do not include figures and tables. Do not include any reference in the abstract. Economics. For e.g abstract-Food and Nutrition.